The Soyuz programme is a human spaceflight programme that was initiated by the Soviet Union in the early 1960s, originally part of a Moon landing project intended to put a Soviet cosmonaut on the Moon. 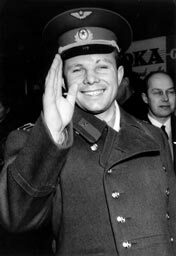 It was the third Soviet human spaceflight programme after the Vostok and Voskhod programme. 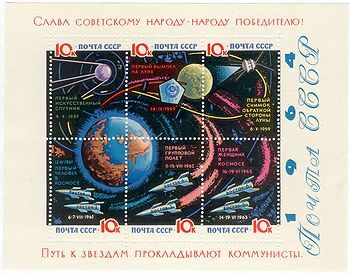 The Salyut programme was the first space station programme, undertaken by the Soviet Union. 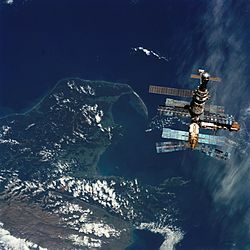 It involved a series of four crewed scientific research space stations and two crewed military reconnaissance space stations over a period of 15 years, from 1971 to 1986. Two other Salyut launches failed. 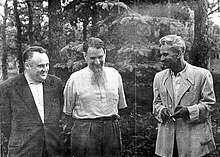 In one respect, Salyut had the task of carrying out long-term research into the problems of living in space and a variety of astronomical, biological and Earth-resources experiments, and on the other hand the USSR used this civilian program as a cover for the highly secretive military Almaz stations, which flew under the Salyut designation. 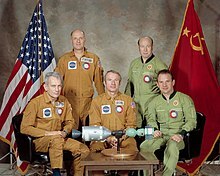 Salyut 1, the first station in the program, became the world's first crewed space station. 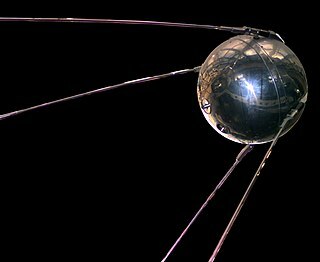 The LK was a piloted lunar lander developed in the 1960s as a part of the Soviet attempts at human exploration of the Moon. Its role was analogous to the American Apollo Lunar Module (LM). 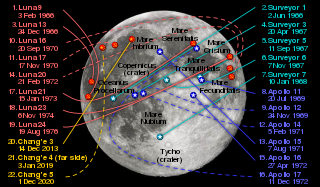 Several LK modules were flown without crew in Earth orbit, but no LK ever reached the Moon. The development of the N1 launch vehicle required for the Moon flight suffered setbacks, and the first Moon landings were achieved by US astronauts. As a result, both the N1 and the LK programs were cancelled without any further development. 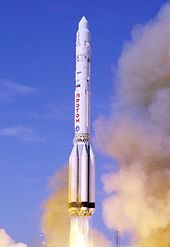 The Soyuz 7K-L1 "Zond" spacecraft was designed to launch men from the Earth to circle the Moon without going into lunar orbit in the context of the Soviet manned Moon-flyby program in the Moon race. 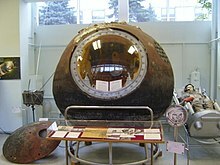 It was based on the Soyuz 7K-OK with several components stripped out to reduce the vehicle weight. The most notable modifications included the removal of the orbital module and a reserve parachute; and the addition of the gyro platform and star navigation sensors for the far space navigation. 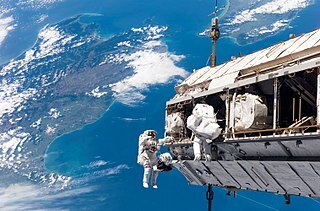 The spacecraft was capable of carrying two cosmonauts. 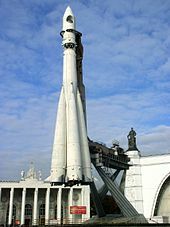 In the beginning, there were serious reliability problems with the new Proton rocket, the Proton 7K-L1, and the similar new Soyuz spacecraft.